Octavia Hill was a key figure in the open spaces and housing movement and one of the founders of the National Trust. Her legacy continues today in the form of many active bodies such as the modern National Trust, the Open Spaces Society and the Family Welfare Association. 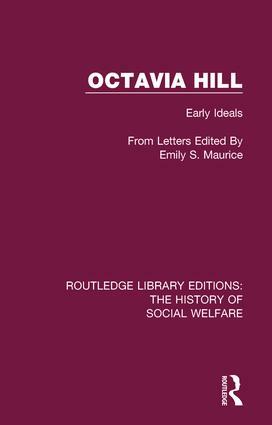 First published in 1928, this work is a collection of Octavia Hill’s early letters, edited by her sister Emily Southwood Maurice. The letters throw considerable light on the difficulties she encountered in the tenements and how she first realised the principles on which she would later act. This book will be of interest to those studying the history of social welfare and poverty.